We all have that friend or family member who doesn’t smile in photos or covers their mouth when they speak or smile, and we all know why. They hate their smile. If you’re that member of the family, call our team to schedule a cosmetic dentistry consultation today. The Chambers Family Dentistry team offers a wide array of treatments to transform your smile, and we know we’ll be able to help you get a smile you’ll be proud to share. If you’re looking to get a Hollywood-grade smile, then porcelain veneers are your answer. 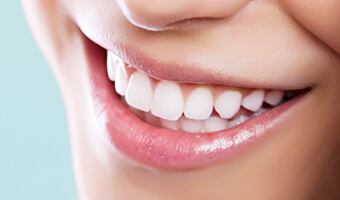 Often, they are actually the secret behind many of your favorite stars’ pearly whites anyway! With porcelain veneers, we can give you everything nature did not. We can instantly whiten your teeth, close large gaps, and even make them look straighter. They are extremely customizable, so whether you want a minor touch-up or a complete makeover, they can provide it. When the Chambers Family Dentistry team plans for restorative treatment, we always take your smile’s appearance into consideration. It’s important to us that your repaired teeth look and feel like brand new. One way we’re able to deliver these natural looking results is by using high quality restoration materials when crafting restorations like dental crowns and fixed bridges. 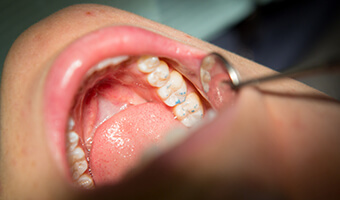 Metal-free restorations offer a variety of benefits. In addition to being the best option for patients who have metal allergies or sensitivities, these restorative materials also offer long lasting results that maintain their natural appearance throughout the life of the restoration. Our team utilizes both E-Max all-ceramic restorative materials and zirconia. All-ceramic crowns produce the most natural looking results. They can be shaded to closely match the natural color of surrounding teeth, and after years of wear they’ll retain this natural appearance. Zirconia crowns cannot be shaded to match the natural tooth structure as closely as ceramic, but they offer increased strength and wear less against the opposing teeth. It’s amazing how much a small chip or crack can affect your smile, right? The smallest imperfection can just throw everything off. Thanks to cosmetic bonding, you can get a fast and easy fix for these kinds of problems that will stand the test of time. For this procedure, your doctor will apply a putty-like composite resin to your teeth and sculpt it to mask any flaws they might have. Thanks to their skillful hands, they can use it to improve a tooth’s shape, size, color, and even alignment. After that, it can be quickly hardened with a curing light, and then your new smile is ready! With the right home oral hygiene, your bonding can easily last for 10 years or more. Do you hide your smile because some minor blemish makes you self-conscious? Thanks to direct bonding, we can completely renew your smile in just about an hour. You’ll just wish you had done it sooner! Have you always wanted to straighten your smile but hesitated because you didn’t want to undergo treatment using metal brackets and wires? You’re not alone. Many patients visit us every year with these same concerns, and that’s why the Invisalign orthodontic system has become so popular. 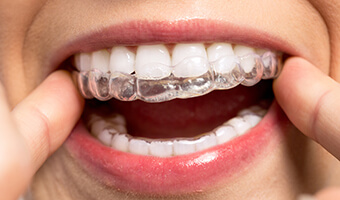 Rather than using brackets and wires like traditional braces, the Invisalign system uses a series of clear, plastic alignment trays to gently shift teeth into their ideal alignment over the course of about twelve months of treatment. Each set of aligners represents a step closer to the desired end result. Worn for about two weeks at a time, these alignment trays shift teeth into this new position. At the end of the predetermined wear time, patients simply exchange their current aligners for the next set in the series. Visiting our office every six to eight weeks for short checkups, patients will see their desired results much more quickly than they would with traditional braces, and throughout the course of treatment, the clear aligners ensure that all anyone else will see is your beautiful smile. When you look at your teeth, what is the first thing that you notice? If words like “stained” and “yellow” instantly come to mind, then you could probably benefit from professional teeth whitening. 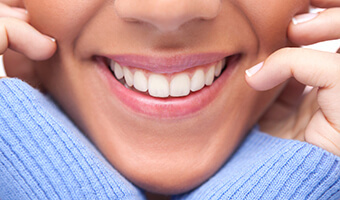 At Chambers Family Dentistry, we have two excellent ways for you to brighten your smile. We can offer you a custom-made take-home kit that will not only feel better on your teeth, but will also provide much more reliable results than anything you can buy at the store. Or, if you want your brighter smile NOW, we can give you a complete treatment in our office that only takes an hour. Both will make your smile shine, so it’s just a matter of your preference. Many patients don’t think about how their gums affect the appearance of their smiles, but there are situations where patients’ cosmetic smile concerns have nothing to do with their teeth. 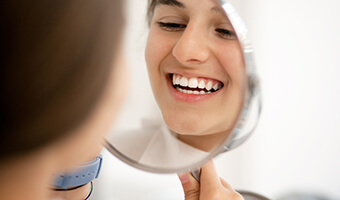 If you look in the mirror and think your teeth look too short or your smile is “gummy,” you may need a cosmetic dentistry solution known as gum recontouring. This procedure is the reshaping of the soft tissue to create a more even balance between the size of the teeth and gums. We use a variety of advanced dental technologies to improve the patient experience in our Annapolis, MD office. 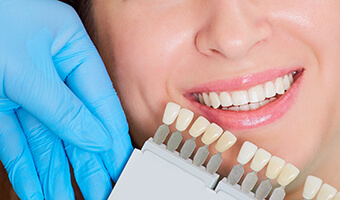 One of the most essential technologies when it comes to cosmetic dentistry is digital imaging. By capturing digital images of your current smile, we can use specialized software to show you what your smile could look like following any number of cosmetic services. This ensures you’ll feel completely confident with your treatment plan before we ever begin.